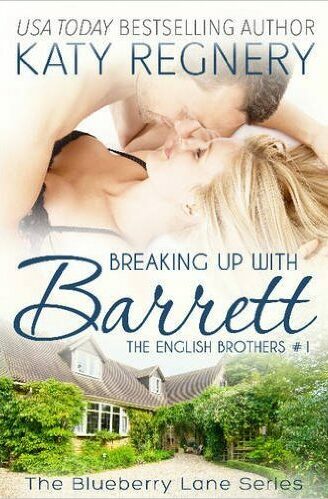 Breaking Up with Barrett is the first book about the Philadelphia-based, wildly-handsome English brothers who are all on the look-out for love. When business partners suggest that a fiancée might soften Barrett’s image over business dinners, he approaches Emily for the “job” of fiancée. And while love wasn’t necessarily on Barrett’s radar, he begins to realize that Emily always has been. But will his take-no-prisoners boardroom tactics work on the heart of the woman he loves?